NEW YORK, Sept. 24 /PRNewswire/ -- Usher's New Look (UNL), a non-profit organization supporting youth to use their talents and become corporate and community leaders, today announced Powered By Service, a bold new initiative to rebrand service and fundamentally change the role of youth in communities. Powered by Service is designed to get young people in the world over - involved in changing the most pressing problems facing them and their communities --whether it be preventing malaria, stopping the spread of HIV/AIDS, ending gang violence or increasing access to clean water. The goal of Powered By Service is to mobilize over 5,000,000 youth in a global call to service that will ultimately touch the lives of 50 million individuals. At the Clinton Global Initiative, Chairman and Founder of UNL, Usher Raymond IV, pledged $1 million to Powered By Service to support young people as they address the world's most pressing problems through innovative service projects. "Over the last 10 years through the work with New Look's partners including HandsOn Network, City Year, Public Allies and ServiceNation, I have seen the POWER of putting service learning skills in the hands of youth," said Usher. "Youth can change problems in a local community or halfway around the world through service. It's a matter of putting the skills and the financial resources directly in their hands and letting them create change on their terms. Powered By Service is not about one organization or one campaign it is about collaborating with diverse partners to build on the foundation of service so many have created. Only by working together can we inspire all young people to be Powered By Service!" Young people all over the world can participate in Powered By Service. Participants will have access to online toolkits and opportunities to apply for financial resources to support their projects. Grants will be awarded to exceptional service ideas so that youth are not only called to serve, but have the tools they need to create real change. Together, UNL, Powered By Service, and young leaders have the power to make significant change on a global scale. 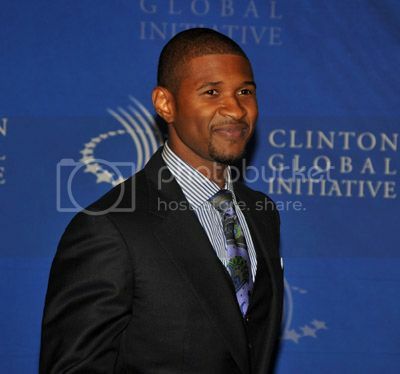 For more information about Usher's New Look or Powered By Service, please visit the Web site at http://www.poweredbyservice.org or http://www.ushersnewlook.org.